The Mersive team is headed to Integrated Systems Europe in Amsterdam February 6-10 and then on to Enterprise Connectin Orlando March 12-15 to showcase the latest Solstice product innovations, including a first look at Solstice Kepler monitoring and meeting analytics engine. 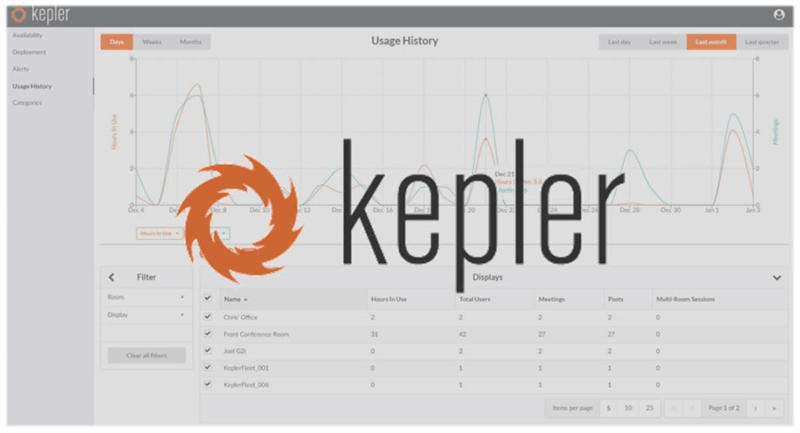 Solstice Kepler provides deployment statuses, alerts, and analytics to streamline day-to-day management and empower workplace planning decisions with meeting productivity and ROI data not available anywhere else. Don’t miss your chance to see Solstice Kepler and all the new Solstice developments in the Mersive booth 14-N130 at ISE and Mersive booth 927 at Enterprise Connect. Please contact us if you would like to schedule a meeting at the events or to request free/discounted event passes. 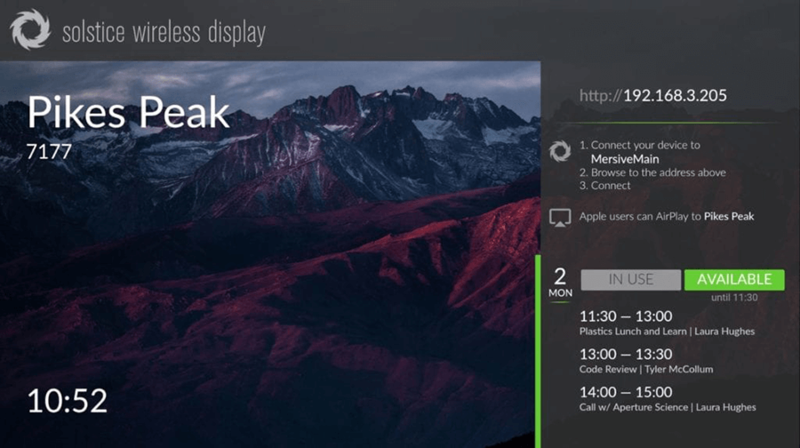 Mersive recently released Solstice version 3.1 which introduces a new look and feel, expanded customization options, room scheduling via calendar integration, and more. We invite all our customers* and users to access the new features and capabilities by installing the Solstice 3.1 software updates for the Solstice Pod, Windows Display Software, Solstice user apps, the Dashboard, and SDS. *Reminder – Solstice software maintenance required. Mersive adds new features and capabilities to Solstice regularly via lightweight software updates based on feedback from our customers and partners. Current Solstice software maintenance is required to install the latest Solstice Pod and Windows Display Software updates. Updates for Solstice user apps, the Solstice Dashboard, and SDS are 100% free. One year of maintenance is included with purchase of the original Solstice license(s) and additional maintenance is available for purchase on an annual basis. To inquire about the status of your Solstice software maintenance or to renew your maintenance plan, please contact Mersive. We’re growing fast and currently have 21 open positions at Mersive across business and product teams. If you are both a solo problem solver and a collaborative thinker that relishes a good challenge, please visit mersive.com/careers/open-positions to view all our open positions and apply.